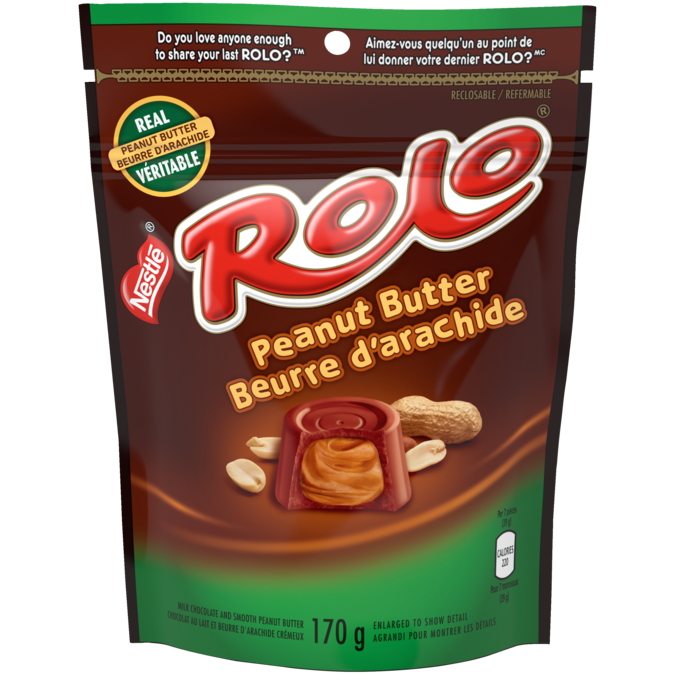 ROLO Peanut Butter Reclosable Pack combines the creamy taste of ROLO milk chocolate, filled with real peanut butter. These wonderfully creamy treats are perfect to share, but do you love anyone enough to share your last piece? Serve a crowd with ease by dishing up this twist on a classic Mexican ice cream dessert. Peanut butter lovers rejoice! This cool and creamy sweet treat is all about the love of peanut butter. A simple and satisfying snack mix with lots of colour and texture, and best of all, little morsels of ROLO® Peanut Butter. Nostalgic flavours come together to make a smooth and luscious shake sure to satisfy any sweet craving.